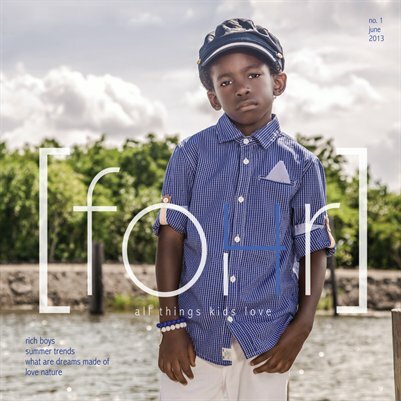 Founded in October 2012, [fohr] is an online and print magazine created to display kids fashion + art + photography + lifestyle around the world. It will feature an array of designers, stylists, artist, photographers and writers bound by a quest for creativity and originality. We are optimistic and encouraged to inspire the stylish parent as well as their trendsetting kid. 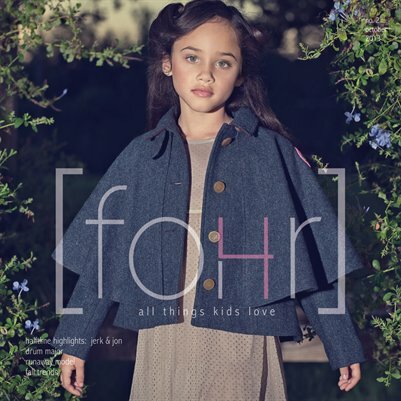 Our readers love [fohr] for its beautiful photos and the best things inside the trendy kid's lifestyle. [fohr] transcends all skin colors, languages and zip codes to bring anyone and everyone together to challenge each and every individual to see things through the eyes of a kid. To motivate parents and kids to see something different- something special- in themselves as well as the world we live in. [foHr] issue no. 4 -- a creative display of kids fashion + art + photography + lifestyle around the world. [foHr] issue no. 3 -- exceptional, noteworthy fashion + art + photography + lifestyle that kids and parents will enjoy. [foHr] issue no. 2 -- exceptional, noteworthy fashion + art + photography + lifestyle that kids and parents will enjoy. [foHr] issue no. 1 -- exceptional, noteworthy fashion + art + photography + lifestyle that kids and parents will enjoy.